Reality...what a concept! This book is not meant to persuade anyone that there is no god. Instead, Rosenberg assumes that the reader is a nonbeliever, who wants to get a better grip on reality. An engaging read that will have your brain working overtime. We can't avoid the persistent questions about the meaning of life--and the nature of reality. But science is the only means of answering them. 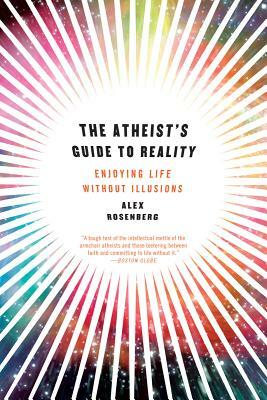 So declares philosopher Alex Rosenberg in this bracing, surprisingly sanguine take on a world without god. The science that makes us nonbelievers, he demonstrates, tells us the nature of reality, the purpose of everything, the difference between right and wrong, how the mind works, even the direction of human history.